5 stars for Kindred Killers: A Stanford Carter Murder Mystery by Gary Starta. Not just a murder mystery–a pshycological thriller– a killer who dosen’t know he is a killer…WOW!! Gary Starta is on my list of authors to follow now. Gary Strata is a new author to me, and I truly enjoyed Kindred Killers. I read a wide variety of genres, but alongside romance, crime and mystery thrillers are at the top of my favorite reads. Kindred Killers had so many twists and turns in the plot, I really never suspected who the real murderer was until Detective Carter began to suspect him, and usually I have an idea when I read a book. I loved the idea of Carter using Zen meditation to help himself cope with the horrors that he encountered in his work. I loved his dedication to his work, but also his commitment to his love, Jill Seacrest. And PI Jay Fishburne captured my attention as well. It really threw me for a loop when his friend and confidant Sid Auerback (who is a cop) turned him in as a possible suspect for the serial killings. I began to wonder—could it be true?? Kindred Killers is not only a murder mystery, it is a psychological thriller involving a murdered who didn’t know he was a murder. Wow—talk about a shocker. I found this book to be a terrific read, and Gary Strata is on my list of authors to follow. After I read the book I discovered that he has several others. You can purchase Kindred Killers by clicking here. Julliette Douglas is a master story teller. Skeletons is the third book in her Freckled Venom Series–I encourage you to treat yourself to all three books and let yourself be transported back to the 1800’s in White River, Wyoming and enjoy the ride! I totally LOVED this book. Lacey and Rawley Lovett secured a place in my heart in the first book (Copperhead), and I continued to love them through the second (Copperhead Strikes). Skeletons moves ahead in time. Ten years of love and sharing their family has deepened the relationship between the feisty former bounty hunter and her husband. But the fire is still there when she has to defend those that she loves. And Hannah is a replica of her mother!! OMG—what a handful she is. I loved her and I just had to smile at the way Rawley handled his two fiery redheaded females. And it was wonderful to see Bill and Cotton as an integral part of the family. Douglas is a master story teller. As I read I felt like I had had been transported back in time to White River, Wyoming in 1888. I felt Ezra Shemwell’s anticipation while he waited for his new bride to arrive. And I felt his heart shrivel when Beth Hudson revealed her true self. And I was grateful for her son, Ben. I had to chuckle many times about the liaison that he and Hannah formed and the antics they got up to. When Joe Kannon and his terrible gang came back to town I knew there was going to be trouble. But who could have guessed that he would kidnap all the school kids! Little could the bad guys have imagined the trouble they had landed themselves in when they ended up with Hannah and Cotton Lovett in that group. As the book progressed I worried for everyone, Lacy and Rawley, the other parents in the town, the children as they were transported by their captors—but I chuckled at how Hannah and Cotton and Ben instigated to disrupt Joe Kannon’s plans. And once again, even when Rawley tried to protect Lacey by shutting her out of the chase, she proved that she still was feisty and had the temper and determination to carry her through! Love is a tangle, before it becomes a Tango! Claire Chatfield, once an ugly duckling, has become a swan…but she doesn’t realise it. She is still caught in her personal images from the past and is amazed when David Lawson-the only son of a wealthy family becomes interested in her. But as time goes by he becomes more deeply involved in his work at the family business that he hopes to one day run, and he spends less time with Claire even though he still insists that he loves her. She meets Alec Brunell, her upstairs neighbour, when his loud music disturbs her Saturday morning sleep-in and she goes up to his apartment to tell him off. Inspite of her anger and indignation, she is attracted to him, but she pushes the idea away reminding herself that she is in love with David. Her discontent grows as David neglects her, but then he shows up with a diamond that is so big it is blinding to look at, and Clare reassures herself that their relationship is sound. Little does she understand the motivation behind his marriage proposal. As the story unfolds we learn what David Lawson is all about. We see Claire struggle with the reality of their relationship and watch her find her way. This is a good book—there are twists and turns in the plot that I hadn’t anticipated when I started reading the book. All the characters are very human—even the ones I didn’t like could be recognised as being a realist part of a mix in society. This book runs through a gamut of emotions: joy, excitement, confusion, betrayal, despair, painful choices, determination, and new beginnings. I recommend it as a relaxing get away from your daily stresses. 4 stars for “Where She Belongs” by Cindy Procter King–a book set in British Columbia, Canada, written by an author who lives there! I really liked this book—for the story it wove, but I must confess that I loved it almost as much because it was written in a setting that I know and could relate too. I’ve been in the Kamloops Airport many times, I’ve been to Louis Creek and Clearwater in the beautiful Thompson River Valley. I have never heard of Destiny Falls (I believe is a fictional place because I searched online and didn’t find such a place in the area where the book is written) but it was typical of a small interior logging town, where everyone knows what everyone else is doing. Jess Morgan is beleaguered by painful memories that she hasn’t dealt with. One of them centers on the relationship that she and her mother do not have—and, as we learn while the story unfolds, they never did have because her father was the type of individual that he was. Jess had resented her step father, who was the man that had quickly stepped up to support her mother after Jess’s father’s death. Jess and he had never made peace with each other, but when he died, Jess felt obligated to come home for a few days to see her mom. Then she would head back to her life in Toronto. But in real life (and fiction) things are often not what they appear to be. She found her mother desolate, floundering in the pain of her loss. This shocked Jess, but it further angered her because she felt her mother had never grieved for her father in the same way. Yet her heart reached out to the woman she had never understood. Their struggle was a major part of this story. And then there was Adam Wright, the handsome hero. As an adolescent, Jesse had worn her heart on her sleeve for him, but he hadn’t paid any attention to her. She was far too young then, and now she is far too jaded and defensive. Adam’s interest peaks immediately, and he pursues her, but she does everything she can to push him away. When she heads back to her job in Toronto he believes he has lost her because he pushed her too hard. I liked the way the plot developed and how it came to conclusion. This is a light read, but it actually does deal with circumstances that can happen in real life. My husband was a logger, and I know men who work in the same profession Adam does. The descriptions are true to life and all the characters were well developed and relateable. Don’t miss a great read set in beautiful British Columbia, Canada by an author who lives in the same province! This book can be purchased on Amazon.com by clicking here. 5 stars for “Hard to Feel Whole” by Mandy Thomas. This book deals with a sensitive subject and the effects it had on a young girls life. A terrific debut novel by an author who has meticulously mastered her craft! This is a terrific book! It is about teenage characters, but it has such great depth and is written with so much emotion it pulled me in and kept me glued to the very last page. Abbie James lives in the shadows of life, letting no one get close to her except for Jo, the one friend who accepts her as she is. Her classmates call her a freak, and because she is submissive and withdrawn, she becomes a target for a couple of girls who bully her. One day, Jake, a dear friend who had been ripped from her life 10 years earlier when his parents moved and he didn’t have a chance to say good bye to her, enrolls in the school she attends. He has never forgotten her and has dreamed of reconnecting with her again. But having him come back into her life freaks her out and she pushes him away. He is hurt, but also concerned. The carefree happy child he had known has disappeared. She has been replaced by an angry, unhappy person and he does not understand what has happened. All he knows is that he still cares for her and she is not returning his feelings. But he is not giving up. Abbie has a deep and painful secret that she has shared with no one—not Jo, her only friend, not her mother, -NO BODY. The author skillfully unfolds the heart of the matter. This book deals with the sensitive subject of child abuse that lasted over a long period of time and how it affected the heroines life. I have no firsthand experience with this matter, but I read a lot and I observe and listen. People who have been harmed in this way feel damaged and believe they are not good enough. Abbie was no exception. Congratulations to Mandy Thomas for such a terrific debut novel. Her writing style is wonderful and as I read, the book seemed flawless. I will read the next book she writes. 5 stars to “The Zebra Affaire” by Mark Fine. This is naked history presented in a fictional way—it is dramatic and emotional. This is an engaging text book on Apartheid in South Africa. I encourage everyone to read it. If I could give this book 10 stars I would. The words “more of a bumper sticker slogan” stuck with me as I read this stunning book, because they are so true. We support causes by putting a sticker on our bumpers, but few of those who proudly display the slogan, really understand the everyday realities, the painful struggles, the cruelty of any restriction of freedom, unless they themselves experience what is happening and know it from a personal point of view. Here in North America we can only imagine what Apartheid was like—and I’m afraid we do that without much reality. I quote here, another passage from the inside flap of the book: “In the spring of 1976 matters of the heart are strictly controlled by racist doctrines. In that toxic mix of segregation and tribal mistrust, an unlikely union between a black man from Malawi and a white woman–an Afrikaner–shocks the nation unaccustomed to such a public affair. All sides across the color divide are represented in the interracial couple’s painful journey in an unaccepting world. The lovers find themselves in the crosshairs of the racist regime’s cold-blooded enforcer, Mal Zander, who will stop at nothing to crush their union and future hopes for a colorblind nation. Mark Fine shines a revealing light on those horrific years of Apartheid in South Africa. For me, his clever way of intertwining the lives of his characters, the interracial lovers Elsa and Stanwell, with historical facts inserted as commentary about what was happening at the time had more impact than any television program or news report could ever have. I’m not even certain that a movie could be as moving. I can’t find the words to express how deeply reading this book affected me. I believe it should be read in schools and educational institutions around the world…Lest We Forget. I have to agree. This is naked history presented in a fictional way—it is dramatic and emotional, there is no attempt to preach the authors theories. The characters, their actions and their feelings portray the tragedy that occurred under an unyielding racist police state. This is an engaging text book on Apartheid in South Africa. I encourage everyone to read it. 5 stars for Judy Ann Davis’s book “Under Starry Skies!” A very good read for those who enjoy Historical Westerns with a touch of mystery, danger and romance! I really enjoyed this book. 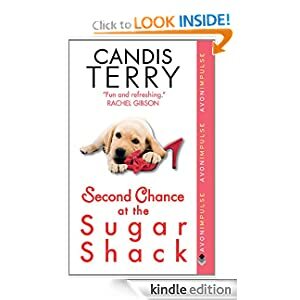 The characters were relatable and well developed and the plot had plenty of twists and turns to hold my attention, bringing me back to read on my Kindle each night when I went to bed, until I finally finished it. The book is set in the late 1860’s and I liked that the author wove the customs of the time into the story. Abigail and Maria O’Donnell are sisters who find themselves in desperate circumstances when their father dies in Utah, leaving then in unexpected financial ruin. Finding themselves destitute, they decide to go to the Colorado Territory where their only living relative resides. It is 1875 and most women are protected from the crasser unpleasantries of the world, but now they have to face life on their own. The sisters are very different in character. In the beginning, one is shy and fearful of the new world they face. The other is a strong woman, who focuses only on what must be done, and negotiates however she must to get them money to travel to Colorado. A few of the choices she makes are downright dangerous, but she does what she feels she has too. That is how they meet Tye (Tydall) Ashmore, who is willing to take her up on an offer that everyone else has turned down because he has an agenda of his own. Later, he realizes that he has taken on more than he could possibly have imagined and as a consequence, his real agenda might cost all of them their lives. Tye is actually a rancher. He also speaks many native Indian languages and is often sought out to help the US Army or settlers pass through Indian Territory. He is a kind, honest man and loyal friend and he finds himself in the situation he is in when he first meets the O’Donnell sisters because he is helping a friend, Brett Trumble, commit a nefarious act, in the interest of preserving the man’s reputation and his army record. When they finally arrive safe and sound in Colorado, the girls discover that the uncle they have traveled to meet has been murdered, and their aunt is not welcoming. Mystery surrounds the murder, and while the community seems to accept Abigail and Maria, it becomes clear that someone does not want them to stay in town. Tye and Brett are protective, staunch supporters and become constant figures in the sisters’ lives. There was only one thing that I found disconcerting in this book. The reader is immediately introduced to Abigail, and through her actions, Tye comes into the picture. There was enough conflict between the two of them to imagine that they were the main characters in the book, but later the book became focused on the relationship that grew between Tye and Maria. Maria became an outstanding person, but from my point of view Abigail’s personality out shone her all the way to the end. Still, I did enjoy the book a great deal. It was a good read and I recommend it to anyone who enjoys a historical western with a touch of danger, mystery and romance.